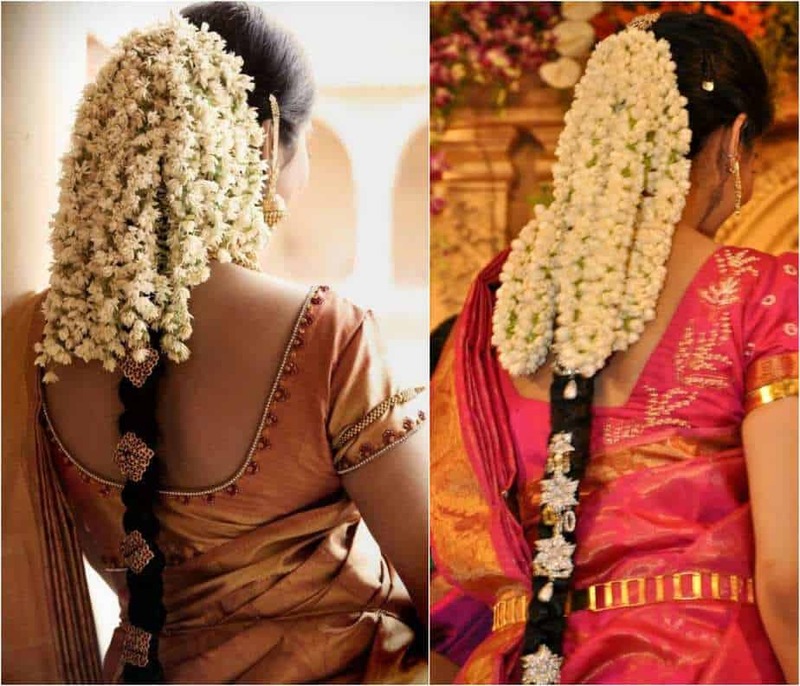 We Are Swooning Over These 10 Beautiful Gajra Wedding Hairstyles! 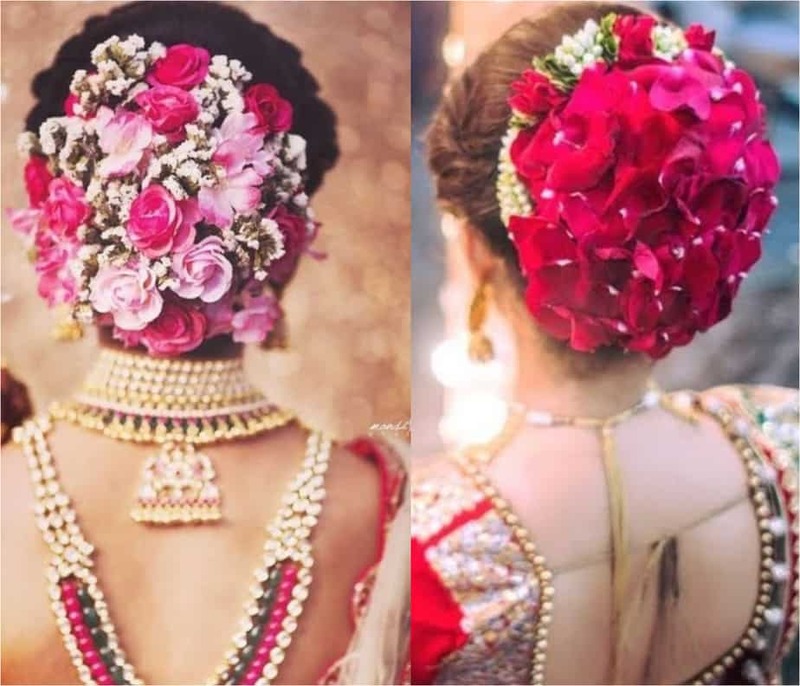 Fashion Trends We Are Swooning Over These 10 Beautiful Gajra Wedding Hairstyles! 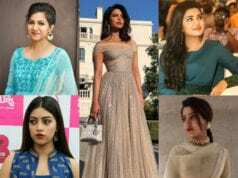 Even the most style savvy and fashion conscious women of Tinseltown could not help but be under the spell-binding charm of the classic ‘gajras’ on their wedding day. 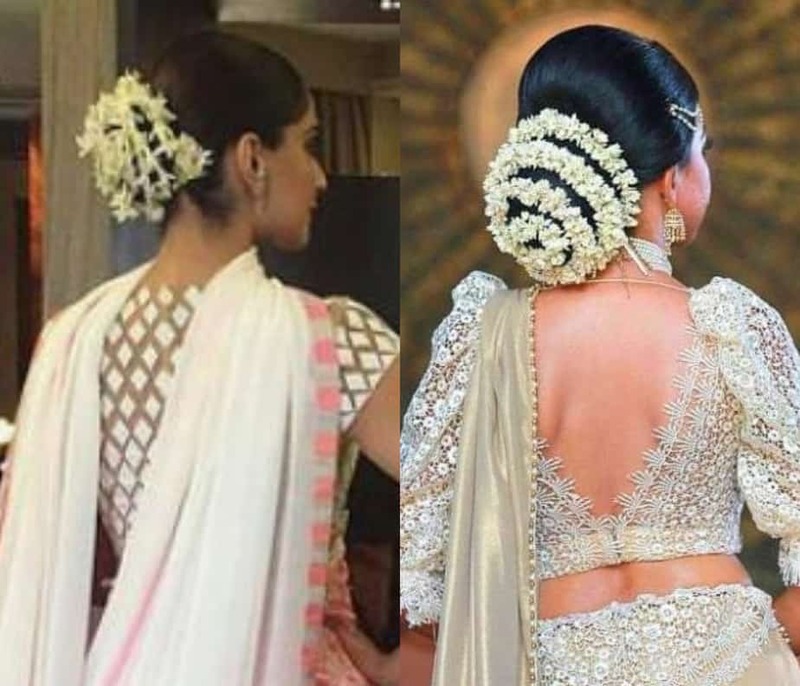 Case on point: Sonam Kapoor Ahuja on her Sangeet ceremony. 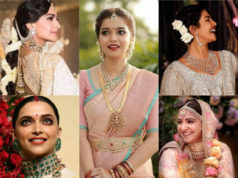 And mind you, it is not just Sonam who’s bitten by this traditional bug, but we’ve seen a ton of A-list beauties styling this Garja trend to a T. From Anushka Sharma Kohli on her D-day to Alia Bhatt at last years Diwali party, our creme de la creme beauties have given their fashionable nod to this ageless hairdo.If you’re loving this trend as much as out B-town beauties, here are ten different ways you can embrace it on your big day. If Sonam Kapoor can make a simple gajra trick look oh-so-fancy, so can you. All you need is to intertwine your regular gajras, one pleat at a time for this standout look. 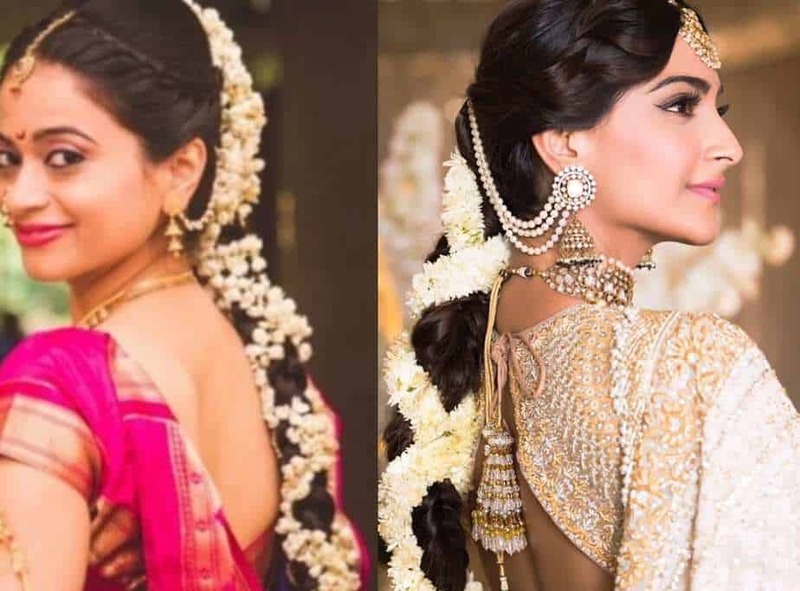 The actress who was seen sporting this look on her Sangeet ceremony looked nothing less than drop-dead-gorgeous. This one’s fuss-free and stress-free. Meant for the ladies who love all-things-fashion and traditions but with a minimalistic touch. All you need is to wrap your single strand of gajra around your huge low bun. And voila, you’re going to exude charm and elegance within seconds. This one might take little more time than the others, but the end result is totally worth it. We’ve seen Sonam Kapoor sport this hairdo on tons of occasions. All you need is a helping to style the gajras below your half bun. This style not just uplifts your traditional look but also ensures you look dazzling at that upcoming wedding. 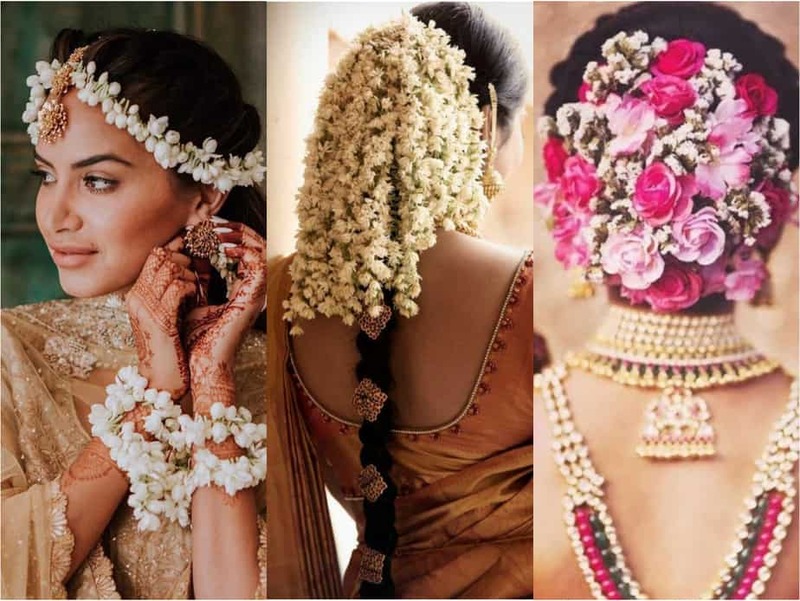 This south Indian over-the-top style is the most ideal choice for brides who love doing things with an added dose of drama. Planning on braiding your hair? Why not make the most of it by not just styling it with a gajra but also by accessorizing it to a T with the plethora of metal accessories available in the market. Make a bold and lasting fashionable impression with this hairdo. Neat, clean and sophisticated. This side gajra style ups the elegance of your six-yard wonder. All you need to do is make a side-parted low bun and pin up your dainty or heavy gajra on one side to complete this look. Plus, it is super-quick! Love sticking to your traditional roots? 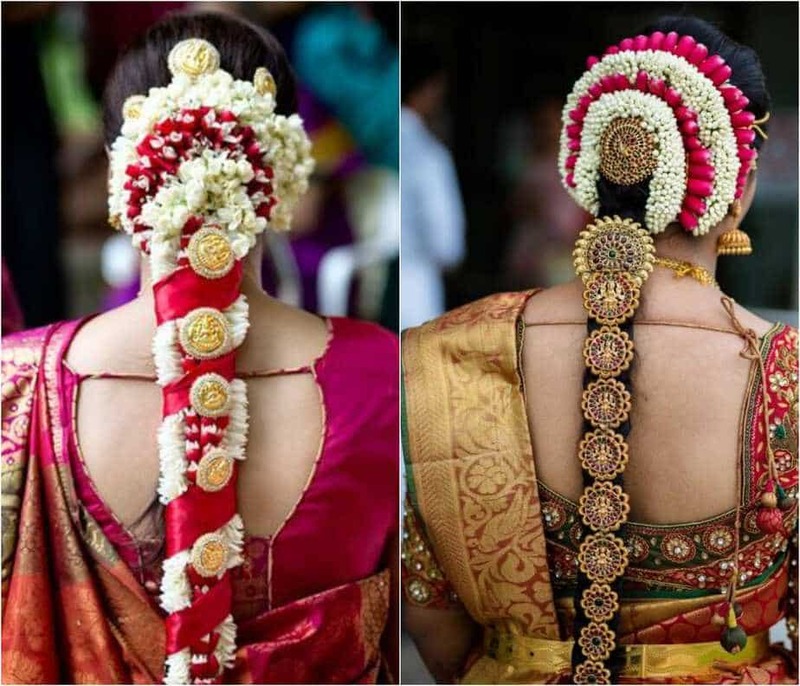 Then this open hair gajra style will work wonders for you. Simply let your gajras and hair down and make a head-turning entry. 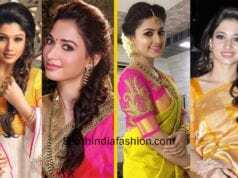 Don with your luxe silk sarees and leave a fashionable long lasting impression. Have some fun, will you? Not only is it super easy to adorn but also uber-chic and eye-catching. Make a simple low bun and decorate it with a web of gajras around it. Getting messy never looked this chic! 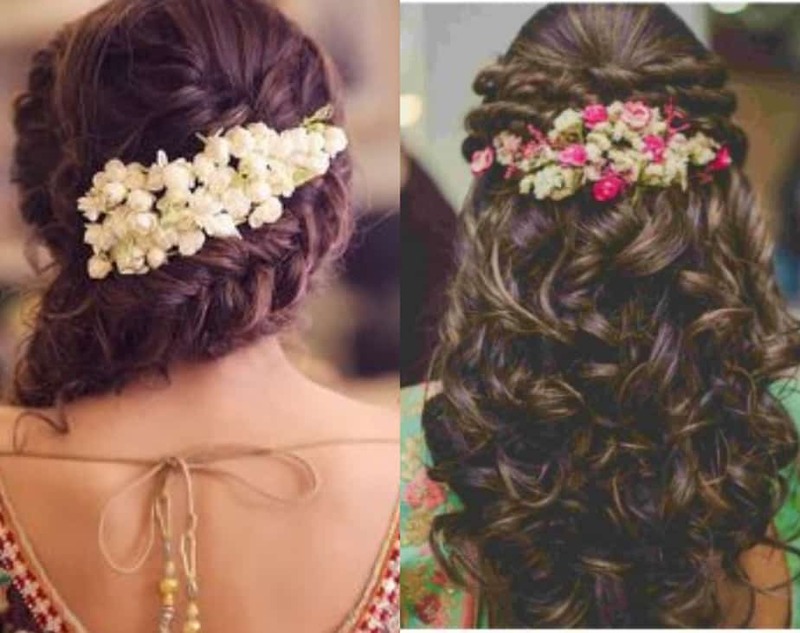 Another modern and trendy way to deck your hair in beautiful flowers is accessorizing your loose luscious lock with hair clips as gajras. Perfect for the modern day bride, who loves sticking to her roots while staying abreast with the latest trends. Our personal favorite among the lot. Not only is it super-cute and a refreshing breath of fresh air, but also is super easy to replicate. 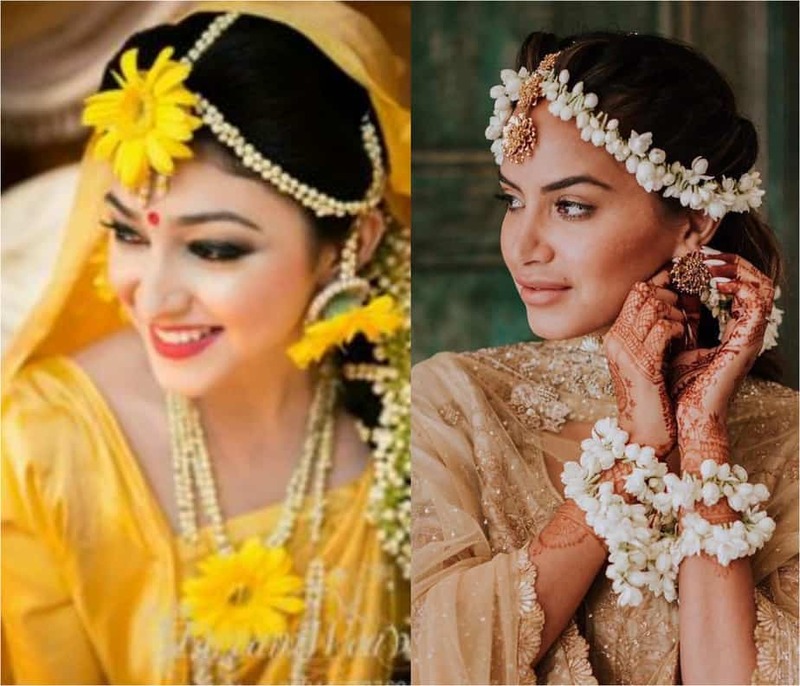 Adorn these flowers as your mathi patti on your Sangeet ceremony or Haldi and fetch a ton of compliments for this trendy new you. It’s your big day, now is your chance to go bold and big. Ditch the traditional white gajras for something that’s loud, adds color and a whole lot of fun to your wedding day. Trust us, this beauty risk is going to be a standout winner throughout your ceremony. 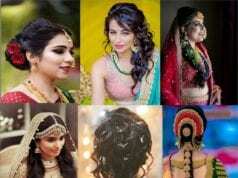 Bridal Hairstyles For Hair Of Any Length! 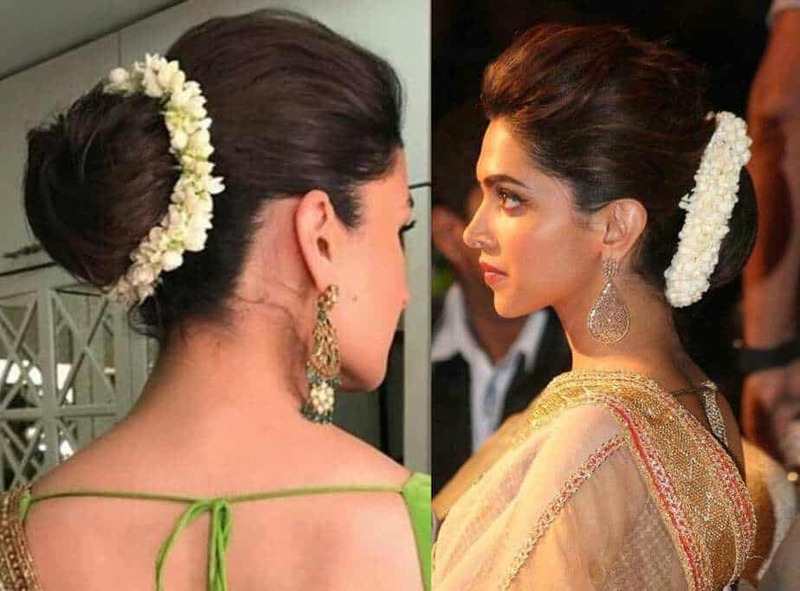 Ten Traditional Hairstyles to Complete Your Half Saree Look! 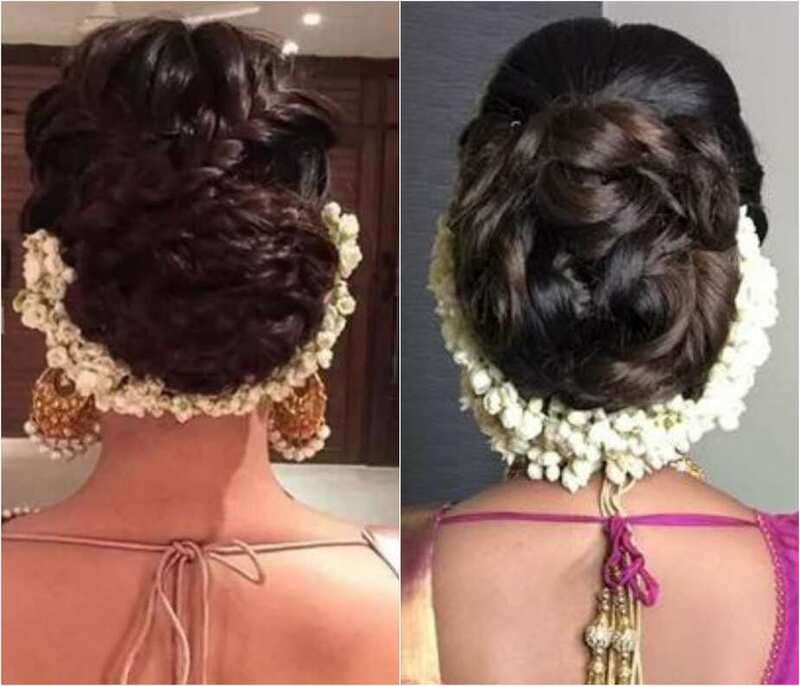 Five Wedding Hairstyles Inspired By Indian Celebrity Brides! 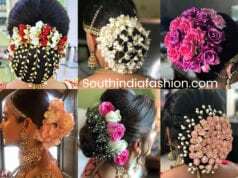 Indian Bridal Bun Hairstyles With Flowers! 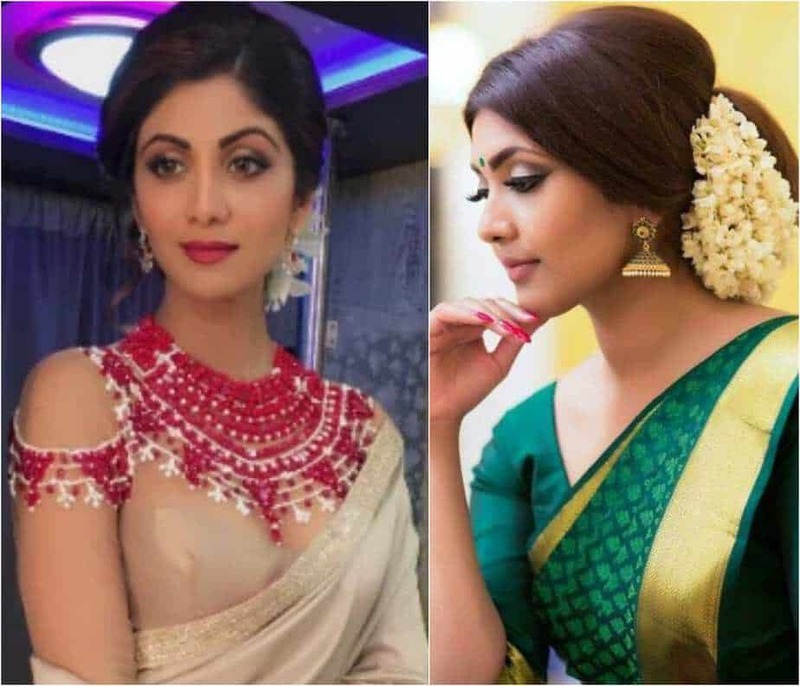 5 Best Hairstyles When You Are Dressed In a Silk Saree! !